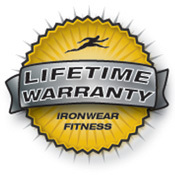 Club Hand-Wrist Irons™ are IRONWEAR ™’s top of the line Heavy hand weights. They are covered by a patented soft durable glove leather surface which feels nice on the hands and blocks sweat from being absorbed. Club Hand-Wrists Irons™ combine the best features of Hand Irons™ with the best features of Wrist Irons™ to produce safest, most comfortable and heaviest weight. Club Hand Irons™ besides being more comfortable, can be easily wiped off, cleaned and sterilized. They are ideal for heavy use and multiple users. Club Hand-Wrist Irons™ have a 2 pound single piece of IRONWEAR ™’s patented Flex-metal™ which has been sculpted to wrap around the curves of the hand and a 1 pound piece which wraps around the wrist. The soft rubber weights create the only truly balanced hand-wrist weight in existence. 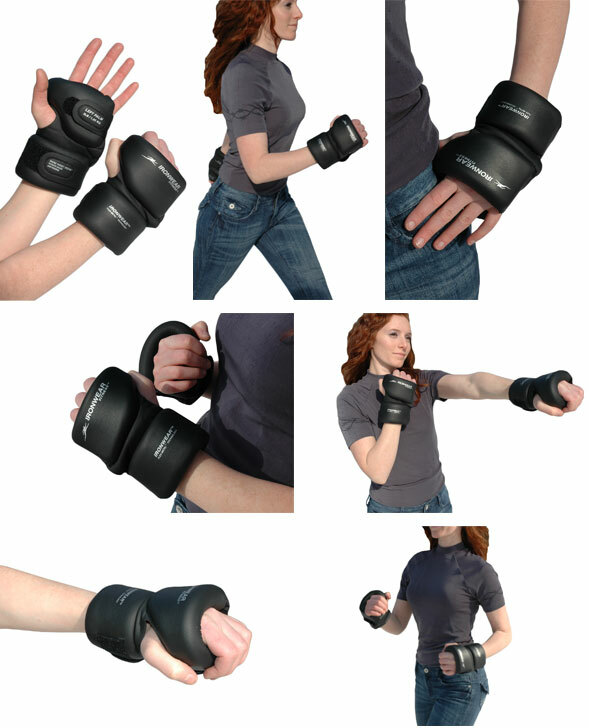 Club Hand-Wrist Irons™ are the safest way to add more resistance to you workout. Hand-Wrist Irons™ stay in place and can not accidentally fall. Also the Flex-metal™ weights are soft and are much less likely to cause damage in case of an impact. You will be able to do things with Hand-Wrist Irons™ that you would never do with dumb bells. Club Hand-Wrist Irons™ weigh 3 pounds each and were developed for experienced athletes for field sport training, boxing training, karate, and kickboxing. No other hand weights can compete with these weights. Club Hand-Wrist Irons™ besides increasing arm strength and speed, cause the heart to pump harder to more muscle groups with amazing results. Hand-Wrist Irons™ can help to improve cardiovascular condition, increase strength, and speed weight loss. Club Hand-Wrist Irons™ are secured with two oversized adjustment straps on the hand and palm. Club Hand-Wrist Irons™ 's unique patented design provides a tailored fit on any size hand, and leaves the fingers free -no holding required.